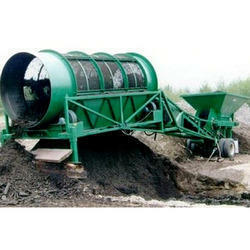 Our company is one of the leading manufacturer of Vibrating Screening Machines in the market. 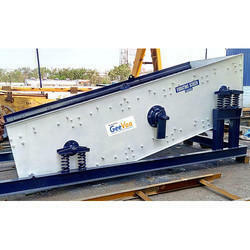 Owing to our consistent focus on quality, we have emerged as a reliable manufacturer and exporter of impeccable quality Vibrating Screen. This is a material handling product used at stone crushing sites for separating bigger particles from required output size. We have used the best grade parts and components in the production process to ensure durability, reliability and unbeatable performance. We offer supreme quality Rotary Screen to our valuable customers. These screens find wide application in classifying the various heavy solid materials in metallurgy, construction and chemical industry. Due to the impeccable performance, sturdy construction, semi automated operation and easy maintenance, these screen are highly demanded in the market. 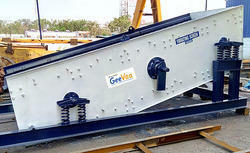 We are dealing in Vibrating Screen and our product is made up of good quality. Our in-house quality experts check the entire range on Vibrating Screen various quality parameters prior to approving for commercial use.